Work is underway to convert a 22,000 sq ft office building into 41 apartments, situated within walking distance of central Birmingham. A show home at Newland House on the Hagley Road will be available to view from the end of January, and the development is due to be complete by April. 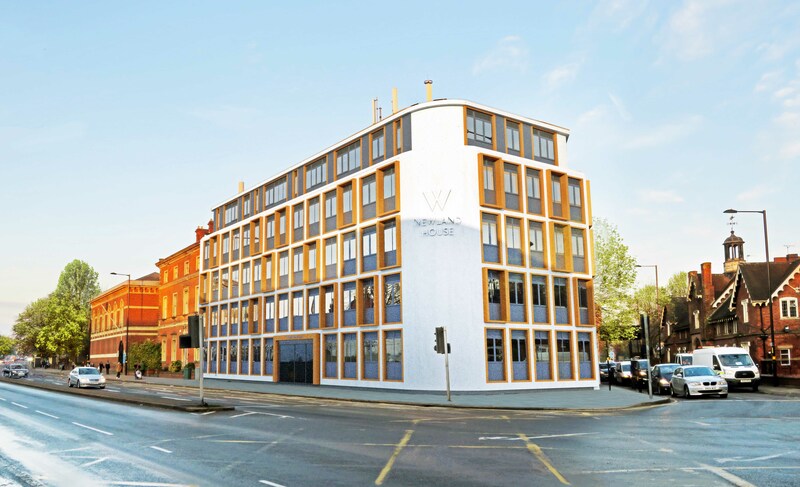 Adjacent to The Plough and Harrow hotel, the property is very close to Edgbaston’s high end restaurants and is just one mile from the city centre. It’s also a stone’s throw from the planned £300m New Garden Square regeneration scheme which will create 500,000 square feet of offices, as well as retail space, parking, apartments and a hotel. Ranging from studios to two bedroom apartments, prices at Newland House start at just £125,000 and the Help To Buy scheme is available. The development features a residents’ club lounge and cinema room, an opulent reception foyer and 10 secure parking spaces. Spanish ceramics specialist Porcelanosa is supplying the apartments’ kitchen and bathroom tiles, while Open Door Interiors is furnishing the show home. BPG has a strong reputation for delivering innovative and quality mixed-use development schemes, as well as asset management. 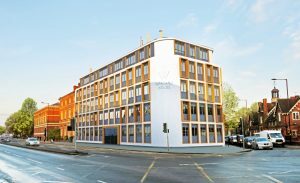 Recent investments include large office buildings in Solihull, Sheldon and Coventry, while the notable Moseley Central development offers stylish apartments in the heart of one of Birmingham’s most sought after suburbs.